As of now, Bitcoin and banks are just like water and oil, you shake them together up a bit, but eventually after time they slowly separate. How is possible for banks to integrate Bitcoins into their system, or maybe just peacefully coexist? One of the main reasons banks haven’t started accepting Bitcoin is that according to many countries laws, it’s not money, let alone legal tender. If we want Bitcoin and possibly even other cryptocurrencies in the future to be accepted just like cash, the government will have to allow it, as banks are federally insured and ran by the government. Another main reason is that if Bitcoin became a mainstream payment method for the average person, banks would have no more business. As Bitcoin cuts the middle man and in result has little transaction fees, sending/transferring money would be costly, and would hardly, if ever, be used over Bitcoin. On top of the fact that it takes hours (at worst) to send money vs Western Union couple of days, once people discover Bitcoins it will be hard for them to go back to traditional banking. As of now the closest thing to putting Bitcoins in your bank account is using a payment processor, especially Bitpay. 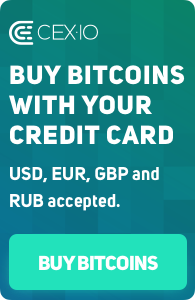 For more details see here, but in essence when you receive Bitcoins (as a merchant/trader) Bitpay can either directly deposit the local fiat equivalent to your bank account automatically, all for no charge. If banks were to integrate this directly, more people would try Bitcoin and perhaps use it more. Banks could benefit by bringing in more business that would otherwise be lost to Bitcoin and Bitcoin would benefit as your money would be kept safe at bank, one of the main reasons why many people are skeptical about Bitcoin. Banks could also have an incentive to use Bitcoin, possibly giving first time users a discount to further encourage newcomers. Most importantly, we would need our government to be on board with the idea and actually give the green light for it. Once that’s done, all we would need to make Bitcoin and banks coexist is to get the banks to set up payment processors, and some Bitcoin ATMs to make it just as accessible as cash. The last leg we would need to go through would be to start getting employers to have options to be able to get paid in Bitcoins, even if it’s partial payment in Bitcoins. This would only further encourage the widespread use of Bitcoins. As of now Bitcoin and Banks are not going to be words that you will hear in the same sentence together for a longtime. But with time, support, and coordination, one day Bitcoin and banks will be able to go hand in hand. Imagine one day people say “fiat or crypto” instead of “cash or credit”.